How do you devour a whale? One bite at a time. The same can be said about finishing tasks. Another article about the changing landscape of work, a subject I find fascinating. 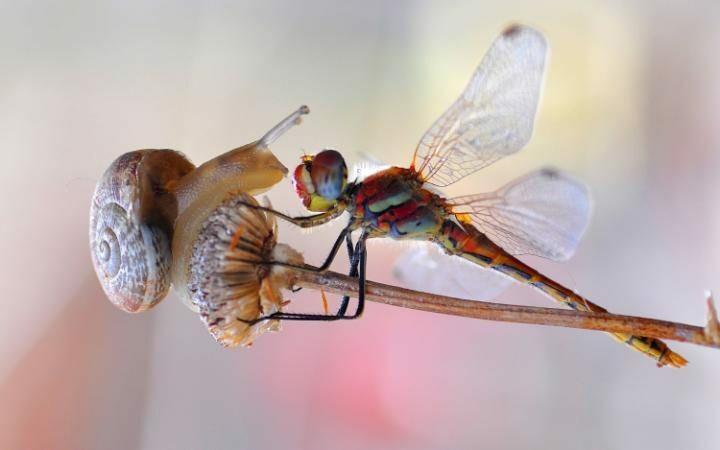 A snail and a dragonfly perch together on a flower. So this isn’t an article about how Noah Kagan grew a blog from 0 to 10,000 visitors. He’s done that before and you can’t replicate his clout. Instead, this is an article about how Noah’s apprentice grew his brand new site from 0 to 10,000 visitors. Most of us have wondered what we might do if we didn’t need to work – if we woke up one morning to discover we had won the lottery, say. We entertain ourselves with visions of multiple homes, trips around the world or the players we would sign after buying Arsenal. For many of us, the most tantalising aspect of such visions is the freedom it would bring: to do what one wants, when one wants and how one wants.